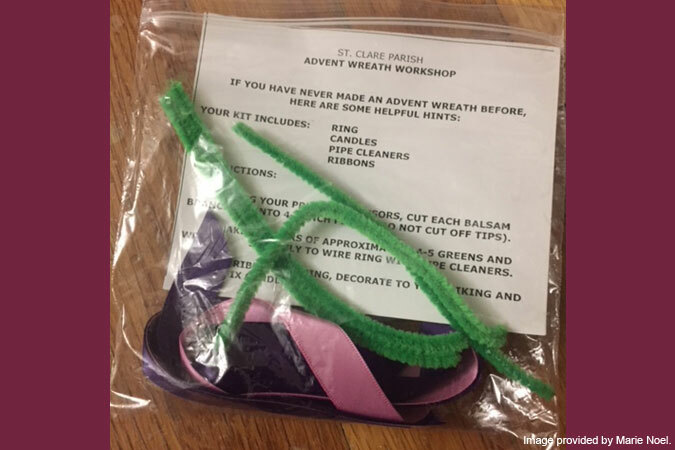 The Advent Wreath Workshop is an event I happily inherited from my predecessor at the Church of St. Clare in Staten Island, NY, where I serve as Pastoral Associate and Director of Religious Education. Every year, we invite parishioners on the Saturday before the First Sunday of Advent to gather and make an Advent wreath for their home. 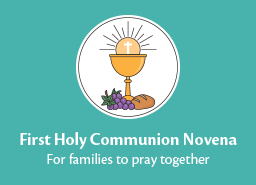 This event is a popular activity in our parish. I have met parishioners who have been doing this for many years as a family, and every year they come to continue the tradition. In fact, if by mid-November they do not see an advertisement for it in the parish bulletin, I start getting calls! The wreath-making workshop is a simple and fun activity that brings the community together. One of things I enjoy most at the workshop is seeing those who have participated before return to help those who are new. Over the years, I have watched friendships develop at this event. Here’s how we make this event happen. A month in advance of the event, I arrange for my school and religious education students to help me put together the Advent wreath kits. 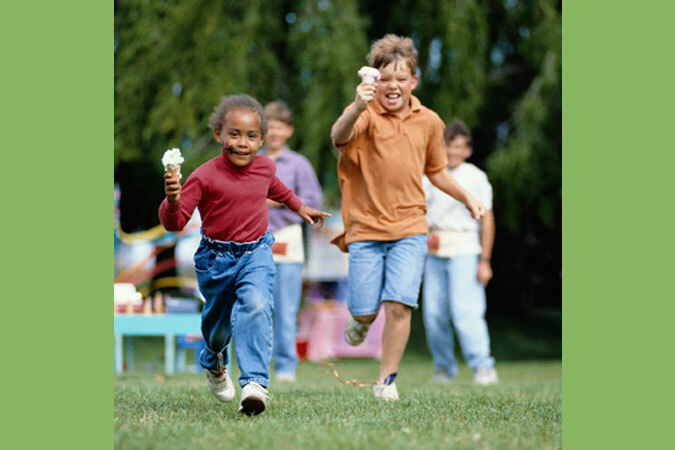 This is a great way to get the children involved, and they look forward to it. 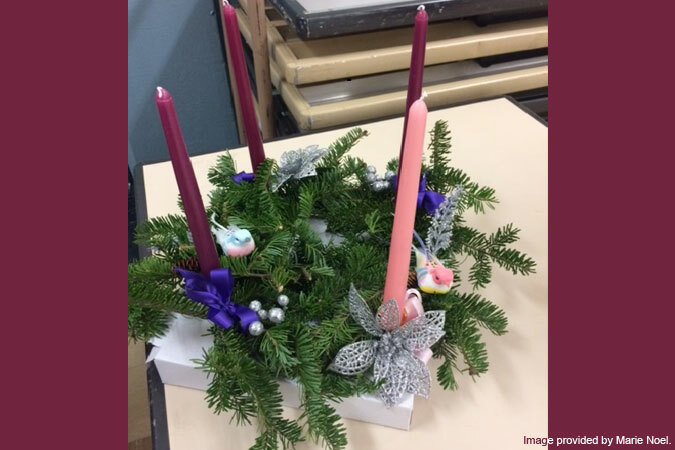 The kit includes: a 12-inch wire ring with four holders for the candles, four taper candles (one pink and three purple), pipe cleaners, ribbons (purple and pink), and the instructions on how to make the wreath. It is important to have families pre-register so we have the right number of kits on hand. A small donation of $15 is requested to help cover the cost of materials, which, in addition to the materials for the kits (listed above), includes balsam branches (several bundles), which we acquire from a local florist. Participants are invited to bring pruners or heavy scissors to cut the balsam branches. They are also invited to bring extra decorations to personalize their wreaths. Using a set of pruners or scissors, cut each balsam branch into 4- to 6-inch pieces. Do not cut off tips. Make clusters of approximately 4–5 greens, and wrap securely to the wire ring with pipe cleaners. Tie ribbons to the ring, decorate to your liking, and affix candles. When it appears that most people are done, the pastor or one of our other priests comes to bless the wreaths, something they enjoy doing very much. 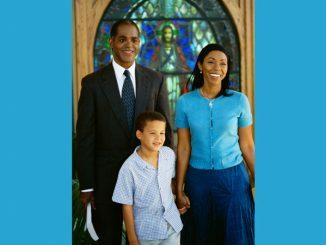 The families also receive an Advent prayer pamphlet to take home so they can commemorate the Advent season in their homes. Here is the blessing prayer that the priests use. Priest: In the name of the Father and of the Son and of the Holy Spirit. Priest: Let us sing together “O Come, O Come Emmanuel” (found in the Advent pamphlet). 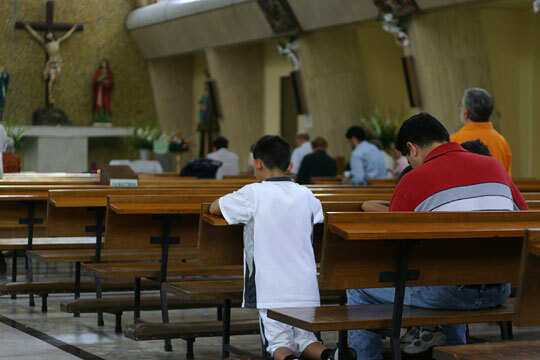 Priest: Let us pray. Lord God, you have made everything holy. Bless our Advent wreaths, which we have made to help us remember that Jesus is coming. As we light the candles, fill our hearts with peace and love. And make our family a place of blessing and grace. We ask this through Christ our Lord. 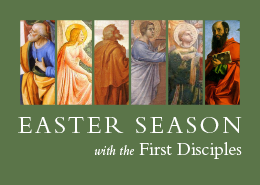 I hope you enjoy starting this Advent tradition in your parish! For more Advent ideas, browse the Catechist’s Journey archives here. Marie Noel is a Pastoral Associate and Director of Religious Education at the Church of St. Clare, Staten Island, NY. Wonderful idea! 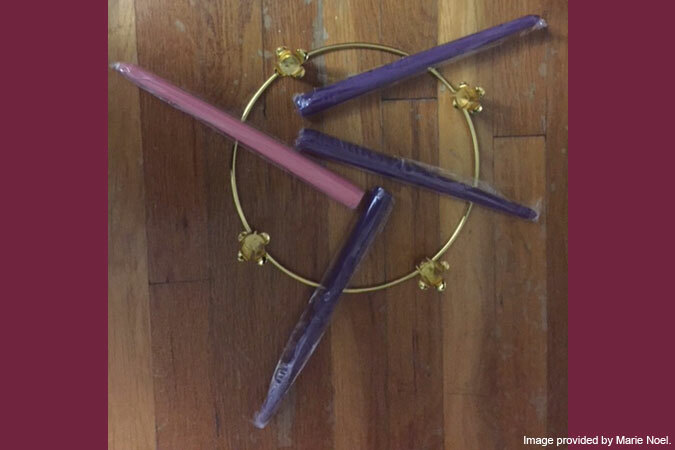 Do you have a link of where to purchase the wire rings and candles? Thanks!